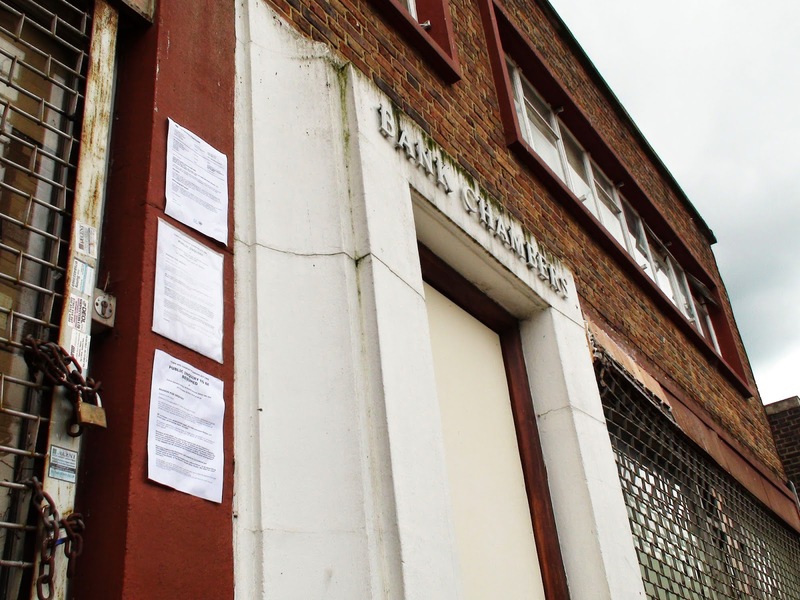 The public inquiry launched by Mr Aziz to try to overturn the council's decision to disallow 2-4 Green Lane from becoming a Mosque has been postponed until Wednesday 19th November. The hearing was going to resume on Tuesday the 14th October but has now been pushed back to the November date. 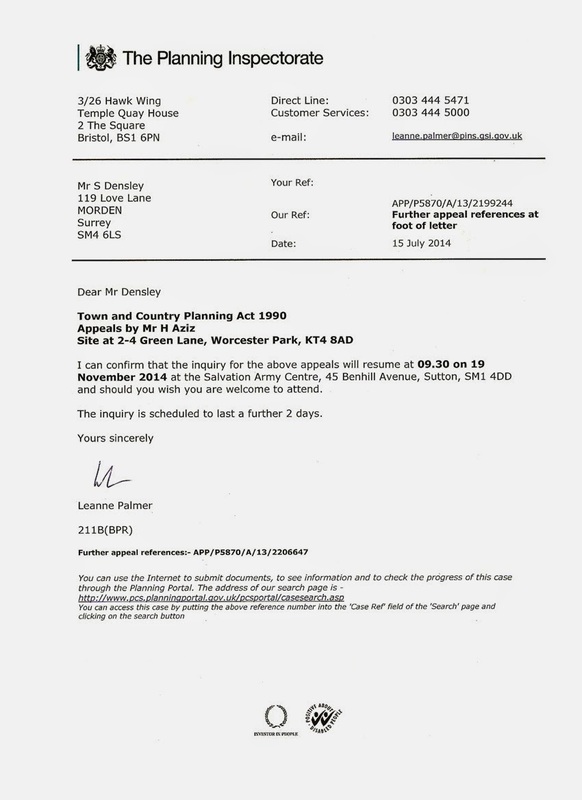 Many interested people will have received a copy of the letter below explaining this. As everyone familiar with the area knows, having a place of public assembly at this spot near the corner of Central Road and Green Lane where there are already insurmountable traffic and parking problems just makes no sense. As the chair of the Worcester Park Residents' Association, Hughie Byrne put it at last weeks local area committee meeting, "The only worse position for a place of public assembly would be in the centre of a roundabout."